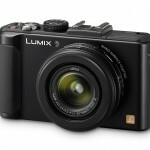 Last week, Panasonic announced their latest high-end compact camera, the Lumix LX7. It’s been two years since the LX5 was introduced and there’s some serious competition in the high-end compact camera space so an update was long overdue. The Panasonic Lumix LX7’s new 3.8x 24-90mm f/1.4-2.3 Leica zoom lens has the largest aperture of any compact camera currently on the market, including the Sony’s new RX100. The f/1.4 maximum aperture is 2 stops or 400% brighter than an f2.8 lens. 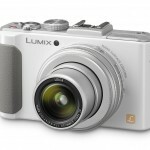 Panasonic wisely kept the LX7’s resolution at 10 megapixels. 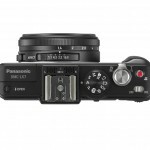 The new 1/1.7-inch CMOS sensor is slightly smaller than the LX5’s but Panasonic says the sensor improvements and redesigned image processing delivers better image quality. 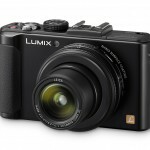 The new sensor and image processing also made it possible for Panasonic to give the LX7 full HD video at 60 frames per second and a super-fast 11 FPS burst rate. The Panasonic Lumix LX cameras have always had the features serious photographers and pros want in a camera – a full range of shooting modes, RAW capability and manual exposure controls. 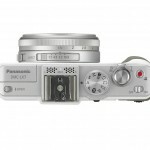 To complement the improved image quality and f/1.4 zoom, Panasonic added a manual aperture ring and a second rear dial that can be used to control the built-in neutral density filter or manual focus. The LX7 also has a pop-up flash, flash hot shoe and an accessory port that can be used for an external flash or Panasonic’s optional 1.4-million-dot resolution DMW-LVF2 electronic viewfinder. The LX7 might be small, but it’s got big-boy controls. It’s been a few years since I had the opportunity to shoot with one of the Panasonic LX-Series cameras but I haven’t forgotten how much I loved using them. 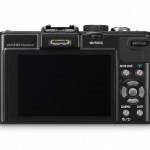 The Panasonic LX7 is being introduced into a very different world than its predecessor, the LX5, though. The LX5 was a natural leader but the LX7 has to compete with a bunch of other really fine compact cameras as well as smaller mirrorless cameras like the Nikon 1 Series and the Olympus E-PM1. 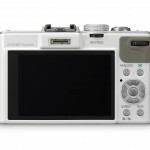 High-end compact competitors include the Olympus XZ-1, Fujifilm X10, Canon PowerShot S100, Samsung EX2F, and the LX7’s most formidable competitor – Sony’s new RX100, which combines a fast f/1.8 Carl Zeiss lens and huge (for a compact camera) 1-inch sensor in a camera that will fit in the pocket of your Levis. 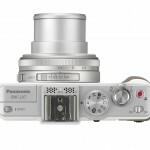 The Panasonic LX line is well-established and the LX7 will definitely benefit from brand loyalty. But photographers have a lot of other very good compact camera options now. What do you think? 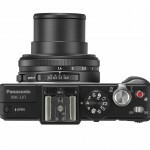 Does the Panasonic LX7 look like a top dog camera like the LX5 did or is it an underdog this time around? 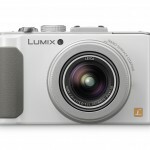 Panasonic hasn’t announced a release date or official pricing for the LX7 yet. 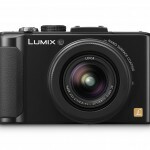 However, online dealers have pre-order pages up listing it for just under $500, pretty much in keeping with the competition and previous Panasonic LX camera pricing. Having used the LX5 for the past 15 months. I will assume that the performance will be as good as or even better than the LX5 shoting in RAW and using Lightroom3 to process my images. 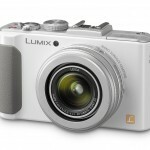 I think with the features and functions that the LX7 offers it will clearly be an underdog in today’s market. Its image quality may be better than the EX2F’s (although this still has to be proven – I’m not aware of any reviews that would allow me to compare), but I doubt it will be better than the RX100′s. It lacks WiFi and a tilt-swivel display. I would also miss a GPS. I don’t understand why camera makers don’t integrate WiFi in their cameras a standard. It’s a standard in every smartphone since several years, therefore I’m sure it is small and cheap enough to go into every camera, perhaps with the exception the most basic ones. Although I’m a Sony fan (I own 2 SLTs) and, after several reviews I read, I am convinced of the photographic capabilities of the RX100, if I would buy a compact now it would clearly be the EX2F because of all the functions and possibilities implemented with the WiFi, and because of its tilt-swivel screen. In my opinion, high end compacts like the LX7 which are capable of pretty fast burst shooting, should nowadays also support UHS-1 SD cards and come with USB 3.0. I have a LX3 and LX5. I would like to know how long you can fire at the published 11 frames per second and at what resolution ? I can’t seem to find any info on the various websites….